The 2017 Geneva Motor Show is opening its gates next month and is announced to host the latest editions in the auto industry today. McLaren will also be present at the event with an impressive supercar, which is the new Super Series, also known as the P14. However, it seems that the British based carmaker has already begun campaigning the model, launching a series of teaser images which depict the car`s exterior styling as well as the powertrain under the hood. This means that besides the new ultra-low inertia twin-scroll turbochargers, which will reduce to turbo lag and increase the car`s throttle response, the new Super Series will also come with a high-performance exhaust system which would add an increase soundtrack. 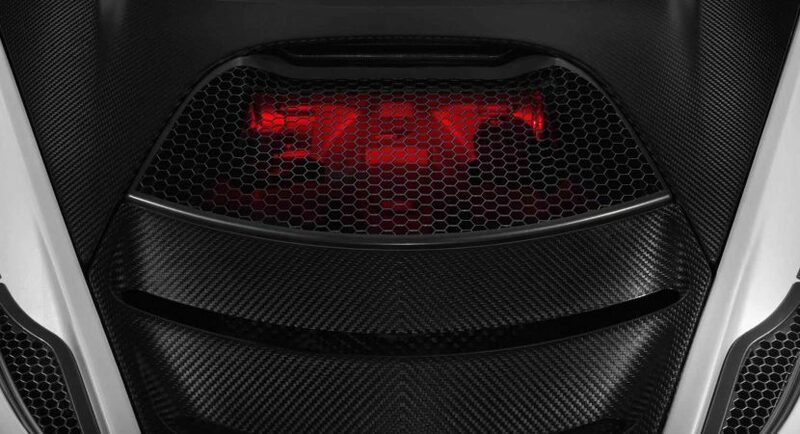 There is also going to be an engine compartment illumination which will announce the presence of a new engine. This means that the model will get a new 4.0-liter V8 mill with twin-turbo configuration, thus replacing the former 3.8-liter pot. While the performance figures are not known at the moment, we still have the rumor mill stating that the McLaren P14 will come with a mind-blowing acceleration from 0 to 200 km/h – just 7.8 seconds. The quarter mile is also set at 10.3 seconds. Full details will be revealed at the 2017 Geneva Motor Show.